The wonderfully elegant Trinity knot silver and rose gold plated pendant consists of a drop shape with cubic zirconia lining the border. 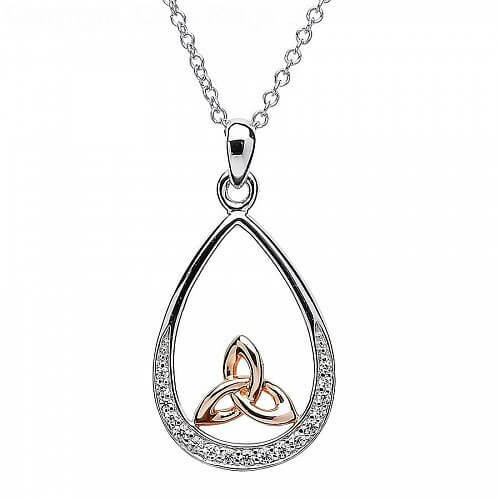 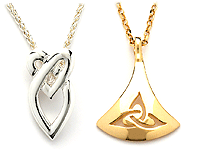 A rose gold plated Trinity knot finishes off the pendant in beautiful fashion. 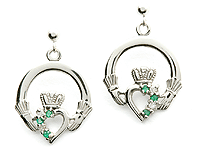 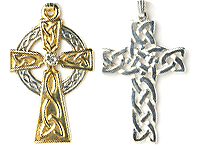 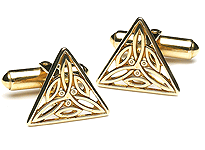 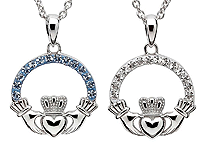 Handmade in Ireland and presented in a wonderful jewelry box. 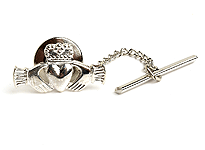 Testede and hallmarked by the Dublin Assay Office.